The Madness that is Black Friday. Black Friday has developed into a truly American institution, and shame on all of us for it. If ever there was a particularly unattractive aspect of Capitalism and materialism its Black Friday. When millions of people leave the comforts of their beds to be the first to save a few bucks for the privilege of buying the latest gadget or fashion we have completely lost track of our priorities. While not one who ever liked big crowds, the idea of being in a big crowd while doing something I don’t particularly enjoy, shopping, is made that much worse. Included in this wonderful cavalcade of misery is another thing I hate, waiting in lines. I always have something better to do than to wait in a line. Last year Americans spent $45-billion on Black Friday. For the uninitiated Black Friday is the day after Thanksgiving. It is the biggest retail shopping day of the year. It is called “Black” Friday because for many retailers it is the day of the year in which their Profit and Loss statements are pushed out of the red and into the black, or profitability, for the year. The frenzy that is Black Friday has driven some of the largest retailers into a moronic game of one-ups-man-ship. 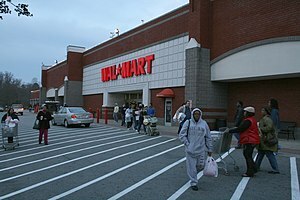 Target and Wal-Mart have competed for who can open their stores first. It used to be 6am; then it was Midnight; now one of them (I won’t bother looking to see who) is opening at 10pm Thanksgiving and staying open all night for those early shoppers who absolutely must get there first. 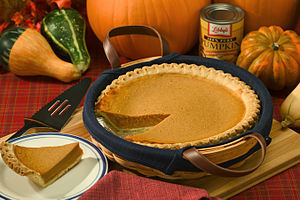 I shutter at the thought of pulling myself out of my turkey, ham and pumpkin pie induced coma and going to a department store on Thanksgiving night. No thank you. I have a serious question: how many items have ever sold out on Black Friday never to be available again before Christmas? Any retailer or manufacturer worth two-bits wouldn’t short stock any item so that it would be gone in one single day not to be seen again within the month. But when Stan Freberg released “Green Christmas” in 1958 he couldn’t have possibly envisioned just how bad things have gotten. 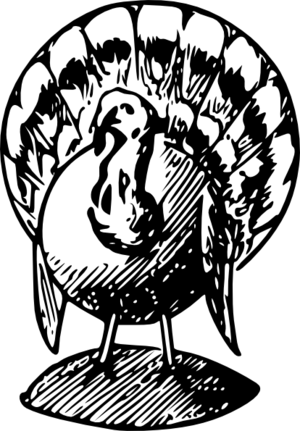 I would ask how we can be truly thankful on Thanksgiving if we are so deliriously ravenous for that which the retailers are offering the very next day? And Occupy Wall Street doesn’t have the banks and financial institutions to blame for this gluttony. The fat finger of blame can be pointed directly into the mirror. We have raised Christmas shopping up to such a level that to not do it makes you a pariah, selfish and uncaring for those for whom you should be running up your credit card debt to please; even if only for the few hours of Christmas morning. I’ll be sleeping in on Friday and then reading my morning paper in my hot tub. And when Christmas finally arrives exactly one month later my children and the rest of my family will be as joyful and truly thankful as they’ve always been on the day in which we celebrate Christ‘s birth. I completely agree – Black Friday is such a turn-off, both of people and of habit. Rude, obnoxious customers obsessed with fighting to the death over something that will be available the next week… Not thanks. The History of Newt | The Weekly Standard Phil Cooke, Ph.D.: Occupy Wall Street: Is It a Good Strategy?